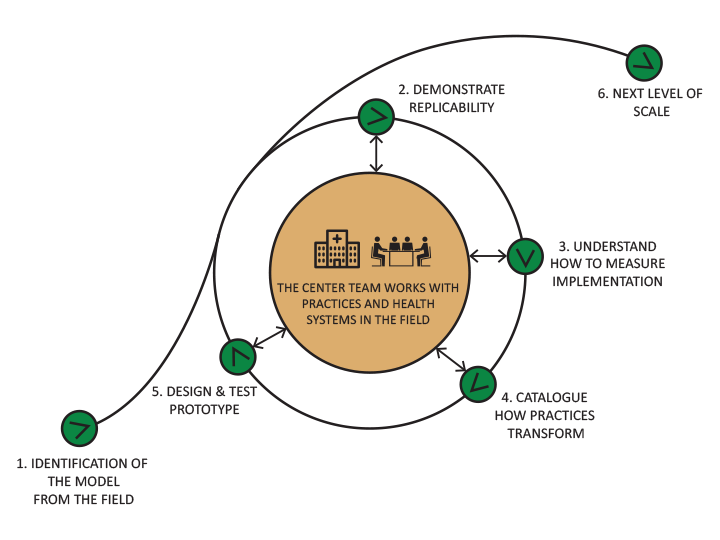 As we learn how practices adopt the model, we are actively prototyping a change package that incorporates the processes and tools they use in their own transformation. With the right architecture in place, we can learn rapidly, deploy and refine the change package at an increasing number of practices in an increasing variety of contexts. We can finally use the variation in healthcare as an advantage. Before we can begin spreading and scaling a model of high-performance primary care, we must first determine whether or not it can be replicated.